What happens when you blend some of the finest classical music with the familiar sounds of the wild, seat a group of bush and music lovers together in a natural “auditorium “on a riverbank and create an amazing live, concert experience under the setting sun, as it transforms the colours and light of the sky? You get the incredible “music in the bush” event called the Sunset Serenade….which is now approaching its 14th year of existence in the Kruger National Park! 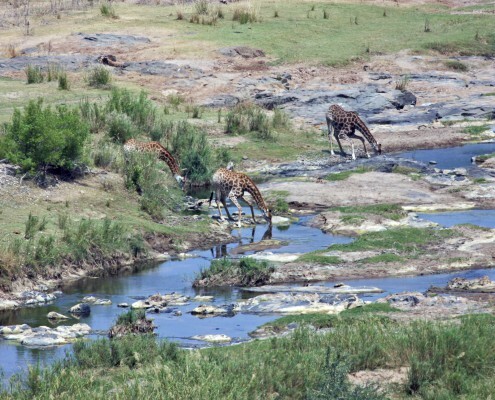 When one thinks about the Kruger, as it’s known to millions of people, it stands out as one of the premier game parks in Africa – one of Africa’s genuine icons and a must-visit destination for thousands of tourists and visitors. 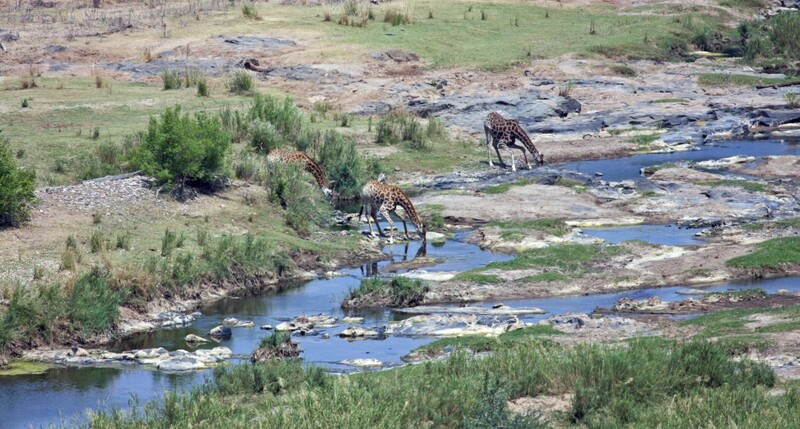 It is world renowned in terms of history, size and the huge diversity of habitat, wildlife, birdlife and reptiles. However, over the last number of years, the Kruger has been constantly in the global media spotlight for reasons other than its better known qualities and reputation – the incredible tragedy of rhino poaching and the merciless slaughter and devastating effects of the rhino war. The image of the KNP has been unfortunately scarred by the brutal photos, coverage and reports that have been distributed around the world relating to the senseless poaching, killing and maiming of hundreds of rhinos, led by the seemingly insatiable demand in Asian countries for the curative powers of rhino horn. But hope, inspiration and initiative starts from small beginnings! 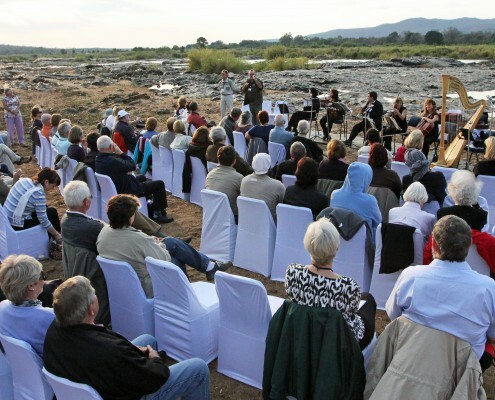 For a small population of wildlife and music enthusiasts, the Kruger in September also marks an unforgettable and deeply moving experience – the annual Sunset Serenade concerts, a brilliant fundraising venture that has increased in popularity and support since its first weekend at the Jakkalsbessie Camp in 1999. In its own special way, it also plays a vital role in the fight against poaching and provides substantive and symbolic support to all the many people and resources that are committed to the various strategic projects, including the provision of specialized equipment aimed at fighting poaching. 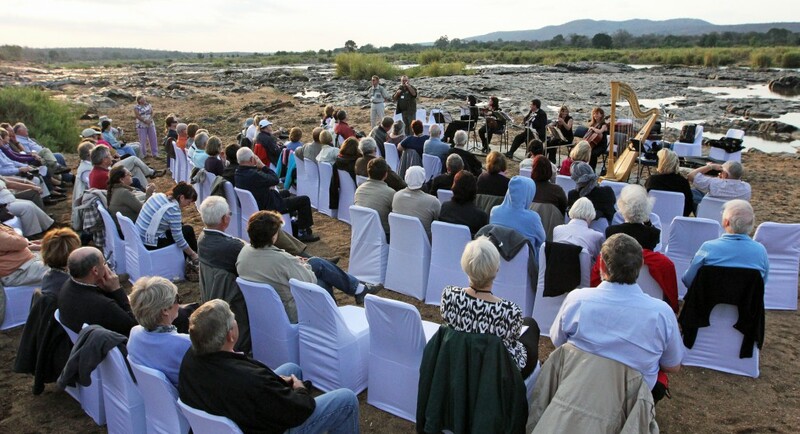 The blueprint for this successful initiative has remained the same – a three day series of classical concerts in the bush, hosted and organized by the Conservation Services National Project of the SANParks Honorary Rangers. Over the many years these superb concerts have held “audiences” spellbound with programs of beautiful classical and modern musical pieces that act as a catalyst to entrench the themes of wildlife, bio-diversity and nature conservation. One needs to pay tribute to the vision, passion and project management expertise of the Honorary Rangers, a volunteer Public Benefit Organization, with over 1,200 Honorary Rangers, working nationwide in 31 regions, sharing and promoting the vision and mission of SANParks. 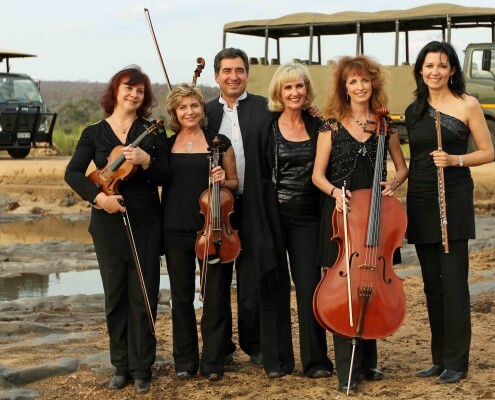 The Sunset Serenade concerts are spectacular and memorable experiences – held in a host of carefully-chosen bush settings at a number of SANParks camps. 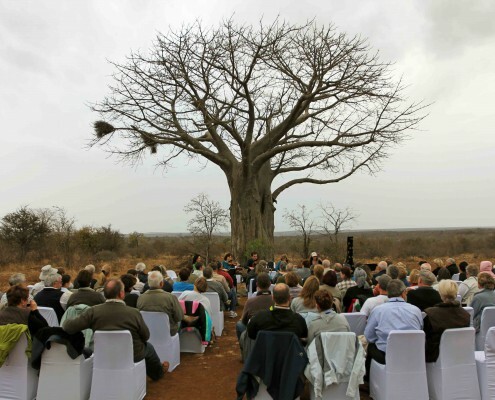 Each concert performance has its own unique ambience and over the three nights, one could find oneself listening to the beautiful strains of musical instruments under a gnarled baobab tree, overlooking a flood plain or on a sandy riverbed beach. 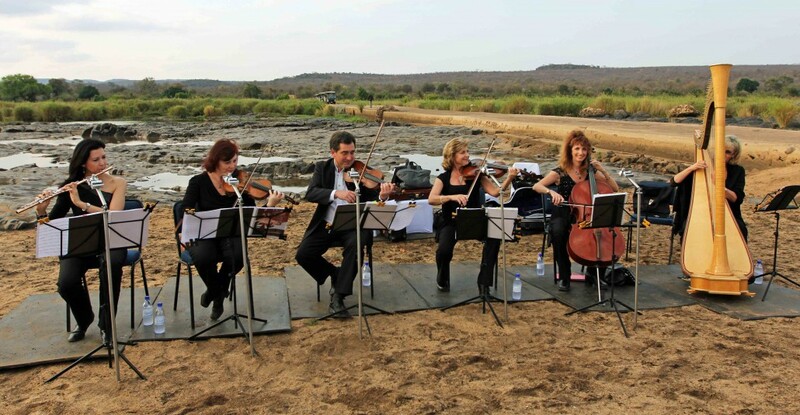 Letaba, the “family home” of this initiative leads the way with the most concert performances over the years but other SANParks bush camps such as Olifants and Lower Sabie have also been hosts to the Sunset Serenade, each showcasing their unique bush environment, eco-systems and bush camp facilities. 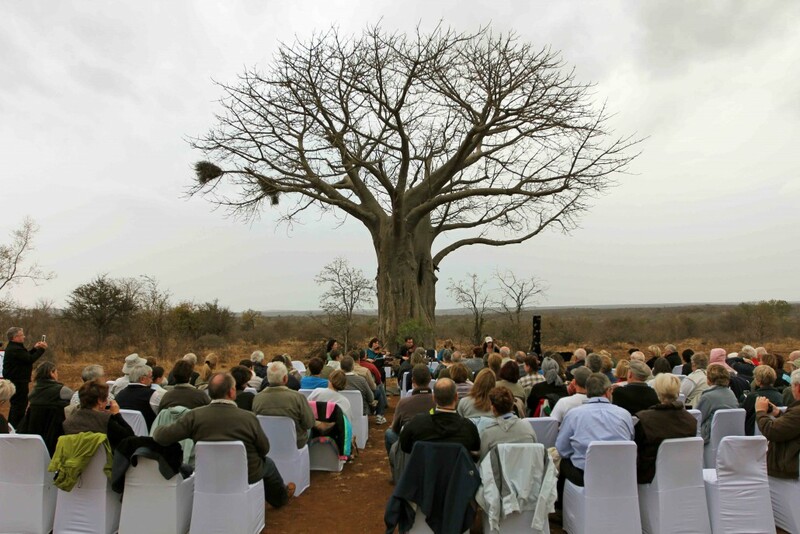 Can you imagine listening to a six piece ensemble playing a classical concerto, surrounded by inquisitive animals, the accompanying sounds of the wild, under open skies that turns mauve and red as the sun sets below the acacia trees? People from all walks of life who attend this event find it a moving and surreal experience and make their way home, after the three concerts, feeling a deep sense of appreciation and pleasure that they have been part of a musical event that is simply exquisite as well as supporting such a significant cause. The real accolades, however, must go to the musicians – a group of highly talented and acclaimed musicians with different international and national backgrounds and experience. They all have broad affiliations to philharmonic and symphony orchestras, chamber music, teaching assignments, musical recordings and many are involved in stage, business and wedding activities. These musicians are truly special people who sacrifice busy schedules and appearances to commit to this noble fundraising event every year through their brilliant music and love and care of the bush. Peta Ann Holdcroft is one of the founder members of this incredible concert event in the bush. She offers her personal account of what the experience of being associated with the Sunset Serenade has meant to her and her musical colleagues. 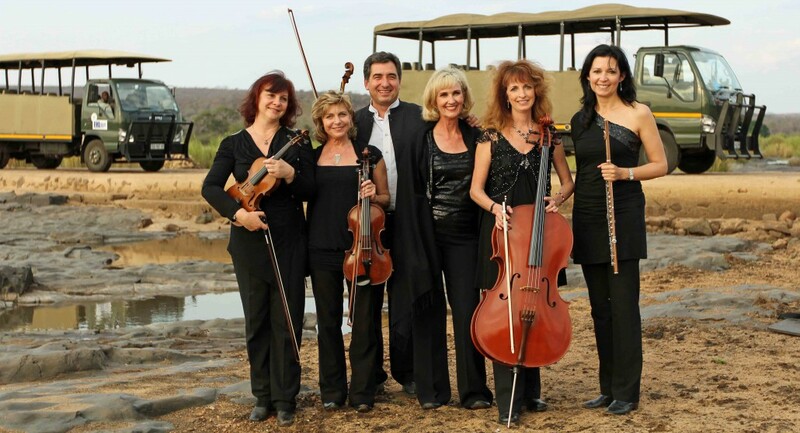 “Some 15 years ago, we were approached by the SANParks Honorary Rangers, to perform a series of concerts in the Kruger National Park in aid of anti-poaching. This began an incredible journey for all of us from those early years. We realized at the time that this would be no ordinary concert and being adventurous and passionate about nature, our wildlife and music, we immediately jumped at the chance to perform in unique surroundings, away from any concert hall, for such an amazing cause. Little did we know what lay ahead? The joy, beauty, camaraderie and delight that we have experienced since that first concert has been life-changing. To perform to like-minded people, who have become friends and “family” over the years, many of whom we meet every year, has become a pilgrimage of sorts. And all of this is to keep our wildlife safe! This has become an annual “institution” and around 200 wildlife and music enthusiasts, from all around the world, book their places, almost a year ahead for this unique experience. The ‘Sunset Serenade’ is performed by six professional musicians, two violinists, Irene Tsoniff, and Ivo Ivanov, a flautist, Melane’ Hofmeyr-Burger, a cellist, Peta Ann Holdcroft, viola, Marjan Vonk, and a harpist, Rosemary Kane. This is a feat in itself, for transporting a harp into the African bush is not for the ‘faint-hearted’. The harp is fondly referred to as the ‘the 4×4 Harp’, as this precious instrument has to endure some very rough travel into the bush. 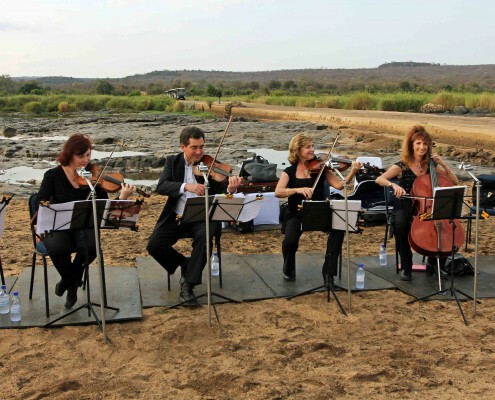 These musicians perform over three evenings at different venues, at sunset, “in the bush.” They play different programs each evening, including a variety of classical and light music, chosen to suit the location, ambience and season. It is the most wonderful experience to hear these lovely instruments, normally heard in concert halls, being played in the open air, blending in with all the natural sounds, to form a perfect symphony of nature. Arrangements and the huge amount of organization for these concerts generally start some nine months prior to the concerts. There are so many wonderful people who, every year, work tirelessly and put so much time and effort into this important fund-raising event. The music programs have to be meticulously planned, and arranged for this unique group of instruments. We like to add special music for particular titles given to each concert, which often corresponds to the specific bush site. The music programs are then sent to the Honorary Rangers who arrange the printing and concert sites for the performances. Weather has always played a major part in these concerts, and if adverse weather such as rain or winds occurs, separate venues and alternative contingencies have to be rapidly put into place. How delightful it is to hear the bushveld symphony, at sunset, with birds, beetles, insects and bats accompanying Beethoven, Bach, Brahms and Beatles – all such exquisite music, played live! All around us we hear the bush sounds – the trumpeting of elephant, the roar of a lion in the distance and if the concerts are situated near a river bed, the chorus of hippos! They have always been such distinguished and approving guests, with their exuberant applause. It is a most amazing sight to see the hippos in a river, watching attentively as the concert gets under way, lining up side by side in the water, with their ears up as if they were listening closely to the music. At the end of each musical piece they erupt with loud grunting, roars and bellows. It is always a phenomenal experience, and one that makes us realize that we all share this precious planet together and that none of our species are any different. How incredible it has also been, to be ‘upstaged’ by a visiting elephant, which was just inquisitive to these strange new sounds being played in his ‘neck of the woods’. On another occasion, we were honored to have a pride of lion attend a concert. They too were curious to see what was happening in their neighborhood environment. It is however, always reassuring that the audience and musicians are protected by the wonderful game rangers, positioned around the concert setting, who keep a watchful eye over proceedings. There is never a dull moment and each concert always has an unexpected happening to remind one that we are playing in their wild environment. In the early evening, the birds literally join us, with such beautiful ‘bird-song’. They seem to be inspired by the sounds of music and we are all moved by the beauty of the natural, unrehearsed mix of music, in a magical moment of life. As temperatures fall at sunset, humidity rises and some of the musical instruments, ultra-sensitive, need re-tuning, much to the interest of the audience. Bugs then arrive, to settle onto the music scores, changing a ‘crotchet’ into a ‘quaver’, making life a lot more challenging to the musicians! One year, a mosquito flew into the guest clarinetist’s ear, causing him to ‘mis-pitch’ the final notes of Mozart’s Clarinet Concerto, because of the ‘buzz’ in his ear! Another great memory occurred this year, when we were playing a lively ‘dance’ in the dark, and fireflies suddenly appeared and started flying above us in their own dancing world, creating a startling and truly magical scene of music and light in nature.